Tomorrow's News Today - Atlanta: Antico Pizza Napoletana May be Coming to Buckhead, But Will it Ruin the Brand? Antico Pizza Napoletana May be Coming to Buckhead, But Will it Ruin the Brand? Antico Pizza Napoletana is likely coming to Buckhead. A well placed Buckhead source indicates Giovanni Di Palma is in the midst of finalizing a lease for the former Lime Fresh Mexican Grill space. Located at the corner of West Paces Ferry Road and Early Street, the restaurant was for many years a Johnny Rockets before closing in September of 2011. Lime Fresh Mexican Grill, serving overpriced burritos and other Mexican fare, opened in their place in February 2012 but closed this past May. Aside from expanding the brand and bringing a location closer to Buckhead for locals and celebrities alike, Giovanni also lives less than a mile from the former Lime space. If the deal is done, Antico will have brought direct competition to nearby STG Trattoria. STG was opened last April by Brian Lewis (owner of Bocado) and is located adjacent to the St. Regis Hotel, in the same strip as Flywheel, but with no street visibility. Not far away, on Pharr Road, Fuoco di Napoli opened in late 2011. Modeled after Antico in more ways than one, Fuoco closed this past October, a few months after Di Palma filed a federal "intellectual property - trademark" lawsuit. I see a Buckhead opening as a turning point for Antico. Antico opened in 2009 and quickly cultivated a cult-like following, and later, tremendous media and celebrity attention. Patrons waited in long lines to get a taste of the "phenomenal" pizza. With procedures in place like no reservations and "dough til gone," folks clamored to get in on what was a limited, and unique experience. With the sale of out of state development rights and now a location coming to a suburban Atlanta lifestyle center and now Buckhead, might the prince of pizza be tarnishing his brand? Take for instance Shane's Rib Shack. Shane Thompson opened the restaurant, in a shack, in McDonough, Georgia in 2002. The initial restaurant was such a success, he sought to grow the company and thus sold it to Atlanta-based Raving Brands. During its time under Raving Brands, the restaurant popped up in the food court of Town Center Mall and in various strip centers around Atlanta. Delia Champion took a similar route when she sold her then two unit Flying Biscuit Cafe to Raving Brands in 2006. Champion opened the first Flying Biscuit in a quaint spot on McLendon Avenue in Candler Park in 1993, a few years later adding a second location in midtown. Today, Flying Biscuit has never reached its reported growth potential, yet has succeeded in nearly completely watering down the brand. Locations opened in the bottom of a parking deck at Terminus in Buckhead, and within various strip centers in the suburbs of Atlanta. While these are both quick serve restaurants rather than than the more "upscale" Antico, I think they both represent what can happen to a brand when it grows beyond its cute, unique, creative level. Additionally, many patrons will agree that each franchised concept lost much, if not all of their character and individuality when they expanded. With Buckhead Atlanta coming online next year, and countless new apartments, condos and even a few hotels in the pipeline, there will definitely be restaurant customers in Buckhead. By no means am I preemptively putting this would-be Antico location on my "Stillborn" or "DeathWatch" lists, I'm just saying, I think too many locations may lead to patrons being burned out on the brand. What are your thoughts? Does an Antico in this locations make sense? Do you prefer STG or Antico? If not Antico, what would you like to see open in place of the former Lime Fresh? Please share your thoughts below. I do agree that he should be careful, but done right it could be a really great addition in a prime location. Love the blog. So you're saying there will be the original location, Buckhead and a suburban location? Which "lifestyle center" are you talking about? At this point, I wouldn't put Antico in the same category as Shanes & Flying Biscuit for 1 HUGE reason - Raving Brands. If he were to sell to them or any other similar company, then I'd worry, but for now I think smart growth will work. One thing to remember is that sometimes in order to be financially successful, you need multiple locations. Not that it's the same thing at all, but look at a franchisee owning a McDonalds. For the most part, you can't own 1 McDonalds and be successful financially. You need multiple locations. Us as the customer may like the unique aspect of going to the Hemphill location, standing in line, trying to find a place to sit, but that may not pay the bills for the owner. I think with smart growth, Antico can have multiple locations and still keep its charm. Off the top of my head, I think of the 2 locations of Vortex. I think Vortex could have a couple of more locations and still have the Vortex charm. And actually a great example is Taqueria Del Sol. They have a cult following and have 3 locations in Atlanta, 1 in Athens, and some in PA, TN, NC & soon FL. They also have loads of copy cats. Back to Antico, I do hope that the sale of out of state development rights also requires a different name, sort of like (again, totally different business) Racetrac vs Raceway. Just my thoughts. I think Antico in Buckhead would be a great idea! There are not many comparable pizza places in the area and it would be a guaranteed win for Antico! I think it may help the brand - current location is always overcrowded and isn't super convenient. thanks for sharing! Thanks for the comments. The lifestyle center I'm referencing is Atlantic Station 2.0 aka Avalon. Also, I would tend to agree with you in the multiple locations / units noting if not for the compound Di Palma now has on the Westside. Caffe Gio,a gelateria & cafe recently opened and joins adjacent fellow Di Palma concept Gio's Chicken Amalfitana. Each concept will of course feed off the pizza but will in the end lead to an increase in the bottom line for Di Palma. SO yea, there ya go, three "units" that already exist. Thanks again for your thoughts and readership. I think Antico is already suffering a quality control problem -- the last two recent times I've been there, the pizza was not at the high quality that were able to maintain for so long. The pies were composed and cooked unevenly. I can't help but think this is due to the expansion of the business to the next-door chicken and gelatto spots, taking the owner's focus away from the pizza quality. What a shame, too, since Antico has been such a jewel for the city. As long as Antico doesn't go crazy like Uncle Maddio's has done, they should be fine. Maddio's has expanded way too fast with too many locations. With just a few locations, Antico should be fine. Buckhead is a great market with people with disposable income and that is a great location, but that specific space is TERRIBLE for parking. You can't really drive up there and people will not pay to park there. Perhaps you could park at Whole Foods and walk over. Would be a great addition to Buckhead but I can't say the say for the location up in the burbs. That just allows for more "just like living in the city" mentality to sell living up there. Things like this should be kept ITP. Yes, I'm a snob like that. First of all, it was reported widely elsewhere that Giuseppe is in the process of leasing space in Alpharetta, where he could combine the pizza with a pasta menu as well. Makes no sense for him to go to the spot on W. Paces Ferry. Non-existent parking and the location is a proven loser. People in Buckhead do not walk anywhere and the lack of parking spells doom. He is better suited for the affluent suburbs where his brand will not be diluted. Let's hope that a new Antico Buckhead will have a a bit more civilized seating. The original is like dining in a zoo- not at all appetizing. What do I think? I'll tell you what I think; anybody who thinks Antico is comparable to Shane's Rib Shack in any facet has lost their damn mind. This is really interesting - I hope it succeeds! I don't feel like the quality at Antico has dropped - but it is getting very difficult to enjoy it like we used to. We are even trying to go early these days, but seems there are a lot of families/kids and it is just a crowded as the more normal dinner hours. So it would be great to have another Antico option in town (and closer to home). Have you heard of Desano (http://www.desanopizza.it/) in Nashville? Except for the name, it is Antico. 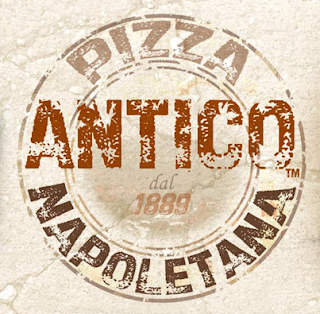 Same logo, website, pizza and even looks similar - except it is about 3X bigger than Antico. Quality was awesome, just like Antico. If he can bring that to Nashville, I would hope he can do it again here in Buckhead.